I use Nexenta in my lab, and I really like it. It works well and has a great UI too. 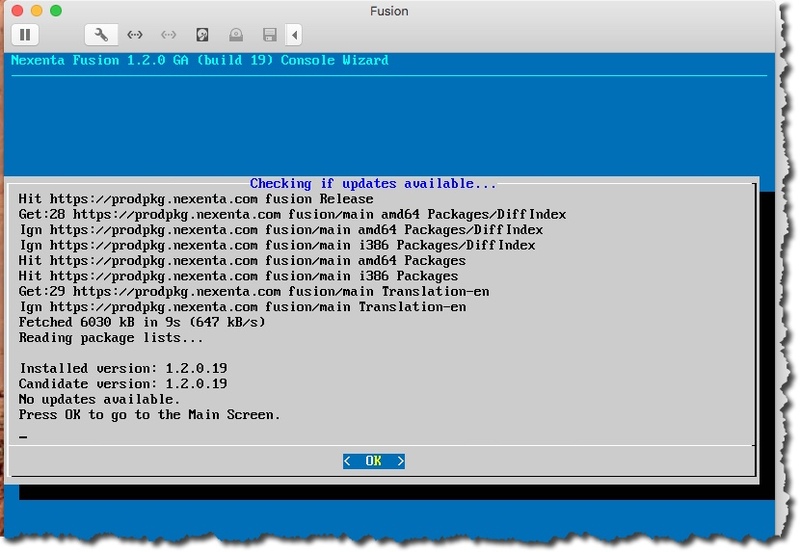 There was an update of the Nexenta Fusion management appliance recently. I discovered there was an update by looking at the console, and not by the email distribution. Which should be used to inform everyone there is an update available but it is not working yet. I did find the release notes so that is good. All of the updated docs can be found here. 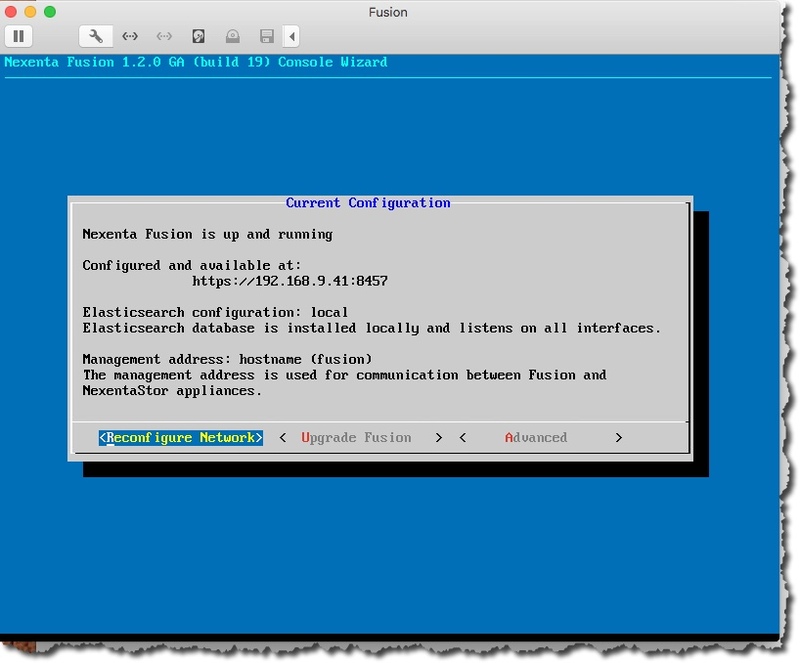 You need to visit the Fusion VM console. You can see we are at 1.1.1. Sorry, no screenshot. This update seemed to take a little longer then in the past. I did not have to restart this time. So an easy update and we are done – I went from 1.1.1 FB1 to 1.2.0.19 without issue and it did not take long. Now I need to update the array! 2/2/19 – Another use of this article from 1.1.1 FB1 to 1.2.1.12.